the inner workings of a shellfish: heaven's perfection. i am a perfectionist. was a perfectionist. 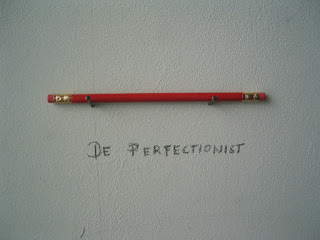 now a recovering perfectionist. my early concept of perfection was that everything on the outside had to be without wrinkle or blemish. anything anyone could see & pass judgement on had to be sparkling, without fault. consequently, i lived quite rumpled & disorganized on the inside. failures taunted me constantly. cutting criticism. anything that was less than perfect i saw as a reflection of my incompetence. i was lead astray by that old attage "practice make perfect". i practiced & practiced but never made perfect. striving became an obsession, something that i enjoyed when i succeeded but was devastated by when i came up anything less than perfect. and then the revelation came quite suddenly that my definition of perfection needed to change. i had been reading about how Jesus stepped out of the perfection of heaven & lowered himself into this imperfect, smelly, dirty place. but He was still perfect. He lived here on earth, but He was living out of heaven's perfection. perfect peace. perfect joy. perfect love. perfect. i want to live out of that place. the place of perfect grace that creates the ability for perfect love. undisturbed perfect joy. perfect peace. it is that place that i long to live. not the crumb-less, wrinkle-less place i had created on the outside. there will be crumbs in this life & there will be wrinkles. but that perfect inner place never has to be disturbed. it is a sanctuary in times of stained clothing & smelly bums. it is a deep well of salvation. it is something driven & inspired by the Holy Spirit. something beautifully perfect that sticky hands cannot reach. "i used to be afraid of failing at things that really mattered to me, but now i'm more afraid of succeeding at things that don't matter."